Kasturi Institute of Management offers Master of Business Administration (MBA) - General Management post graduate programme affiliated by Bharathiyar University. This is a 2-year integrated program designed to provide an advanced course in management for those seeking managerial positions in the industry, commerce and services. While the first year provides a solid footing to the students in the basics of business and its related disciplines, the second year offers students the opportunity to specialize in a field of their choice from among Marketing, Finance, Human Resource Management, Operations Management and Systems. 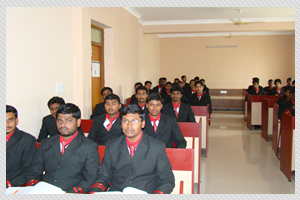 Although the MBA programme is based on the framework of the Bharathiyar University syllabus and examination requirements, the MBA coursework at the Kasturi Institute seeks to go beyond textbook-based rote learning and set exercises, to become an exciting and rewarding learning adventure which would help internalise the principles and skills learnt and develop the behaviour, attitudes and intellectual abilities appropriate for professional effectiveness in management. Kasturi Institute of Management focuses on the formative synthesis of educational inputs in developing management professionals and keeps evolving a spectrum of instructional strategies and related activities to make its MBA programme a holistic experience. An important part of this training is to equip persons to function effectively in an environment marked by extreme competition, daunting challenges and rapid changes in diverse aspects. Why MBA should be a career option? The prime reason contributing to the importance of an MBA is the professionalism that now exists in the corporate world. An MBA gives aspirants a secure professional future. MBA from the best institutes provides students with jobs even before completion of the course. Students from any stream like Arts, Science, Commerce, Engineering and Pharmacy etc. are eligible. To make it in the corporate world even professionals with other qualifications like CA, MCA, Engineering, etc., find MBA to be an effective career booster if they wish to pursue a carrier in organizational administration. MBA today is looked upon as an entry level qualification in most corporate organizations. Kasturi Institute’s MBA (Master of Business Administration) - General Management post-graduate degree is a 2-year integrated course that span across 4 semesters in 2 academic years, covers diverse modules and even includes job internships. The core subjects are aimed developing knowledge and skills in management discipline with specialisations in functional areas. Kasturi Institute’s MBA curriculum is designed to provide basic understanding about Management education and to train the students in communication skills effectively, with inculcate entrepreneurship skills. The students are prepared to explore opportunities being newly created in management profession. Students are groomed to become future managers in various areas like Marketing, HR, Finances, Operations Management, Systems, etc. The relevant syllabus copies will be issued at the beginning of the programme. The Principal of KIMS, Coimbatore will arrange for the supply of study materials. The students have to make their own arrangement to procure other prescribed reference text books. Frequent lectures by top managers and consultants are arranged. During the Management Practice sessions, students are engaged in group discussions, presentations on corporate news, analysis of cases, small exercises in team work etc. The course comes with a Dual Certification, i.e., a MBA degree from Bharathiyar University and a Certificate of Accomplishment from Kasturi Institute of Management . On successful completion of the MBA degree, students can be placed in any of the airlines and airport associate companies based on their performance.